In education field, the importance of competitive exams increases day by day. Competitive exams are central exams were millions of students and individual people attend it every year and ranked in school, town, district, state, country or international level.By this type of examination, students get the knowledge beyond the text book which results in increase of confidence level of them. The students are able to solve the problems which are not discussed in classroom and the skills to solve the logical questions also develop. We want to aware our students by the method and environment of competitive exams. So our school had started the competitive exam namely NVV Knowledge Champion since last 2 years. We conduct this exam as per the method of competitive Exams like to register the name to get the hall ticket to attend it. The winner are awarded by trophy, cash and certificate in annual award. The main purpose of Dada-Dadi Club is to teach moral values to students. For this, the school invites grandparents to spend their time with pre-primary students. 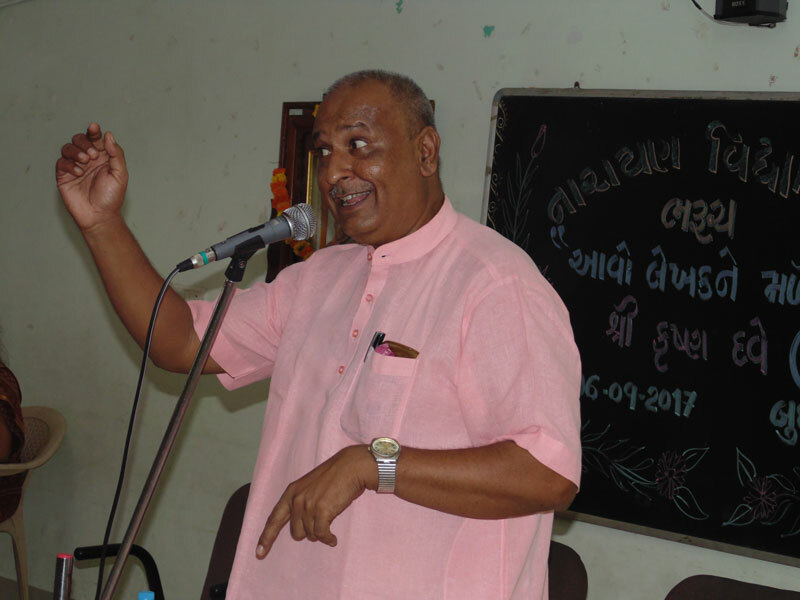 They tell stories, Poems, Bhajans and their experiences to students. 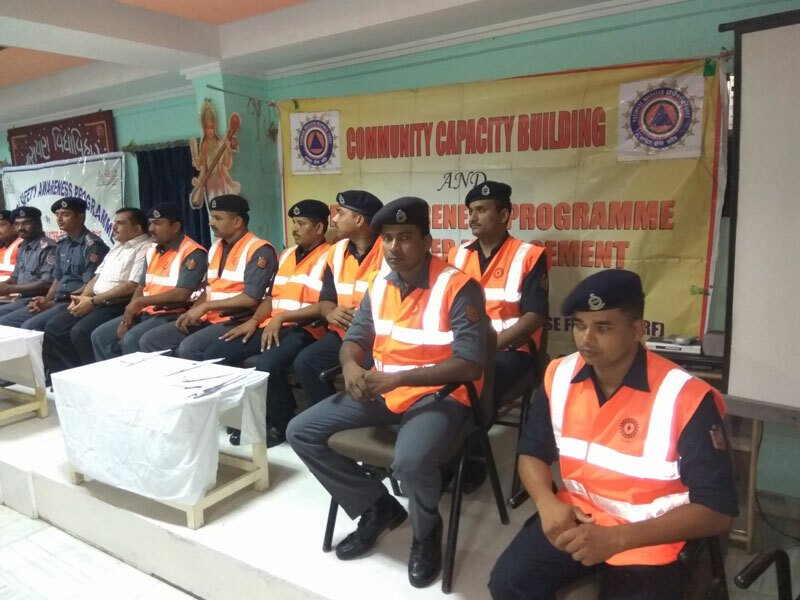 Dada-Dadi Club organizes meeting with young parents and tell them their experiments and young parents learn moral values and then transfer to their children. In Mothers Club, about 40 mothers improve their skills by different activities. 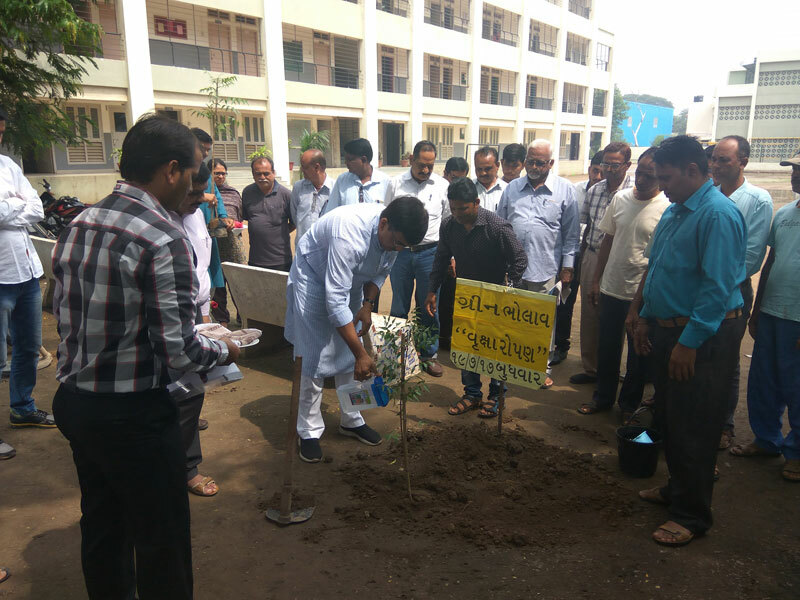 With the joint venture of Narayan VidyaVihar and Redcross Society, school had organized Blood Donation Camp in June - 2017 in which about 50 teachers and parents had donated blood. Planting trees connects children with nature and shows them that their hard work makes a difference in the world. 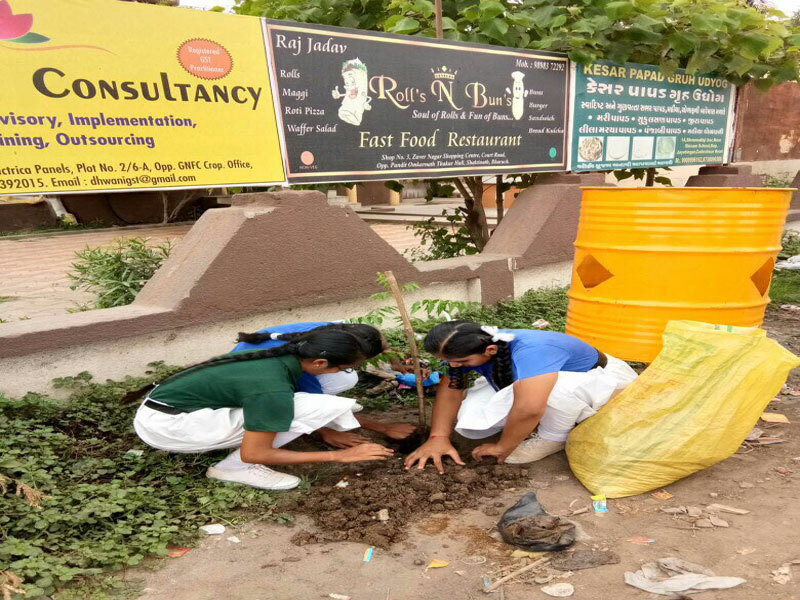 With this concept, school had organized “Green Bholav” project in July- 2017. 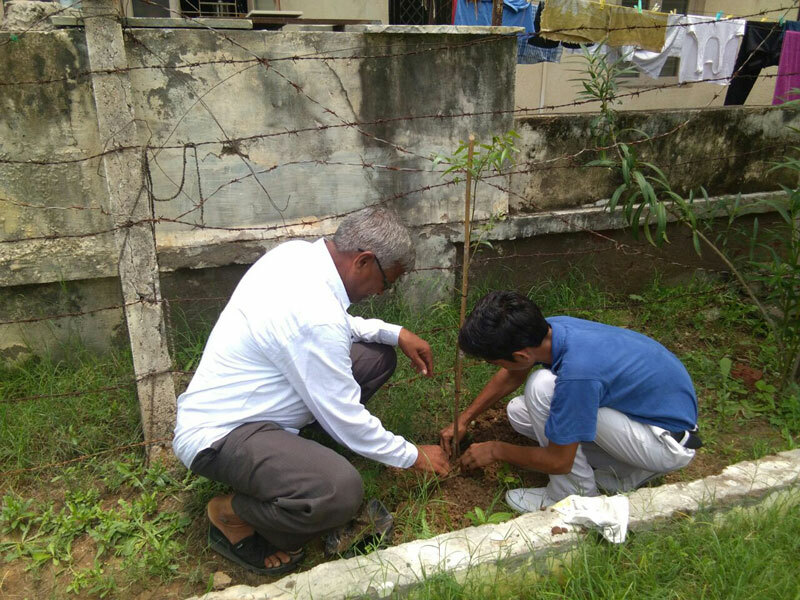 In which school students had planted trees in their society with the co-operation of school and society. Still they are taking care of these plants. 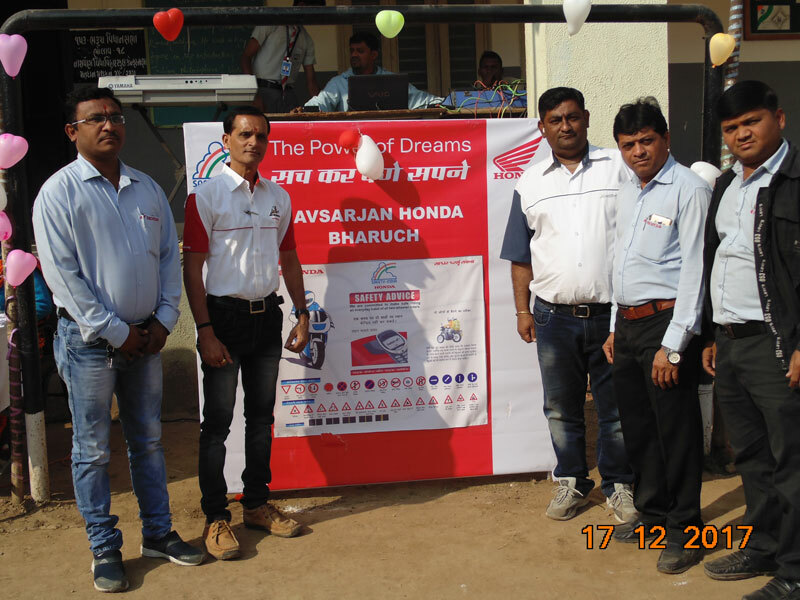 To aware students about traffic rules and to keep themselves from accidents, Navsarjan Motors had shown different videos of accident and the students who had face accident, shared their experience and guide other students. A house system is to merely ensure that students take part in extra curricular activities with a competitive spirit. It helps students learn team spirit and things you can only learn in groups. It is a very healthy idea. It makes every student an integral part of the school and is responsible equally to contribute. The house system is an excellent method to bring out hidden talent in students and give them an opportunity to explore themselves. The school students are divided into four houses i.e. 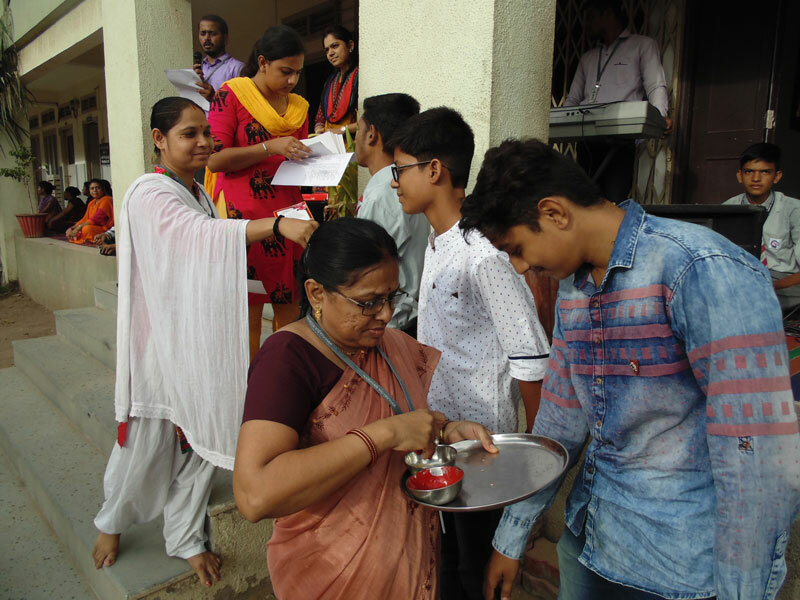 Every Year School organizes various house activities. We are not able to read each and every book. By the book review, at least we can know the summary of the book. Our school organizes book review every month in which teachers, parents and invitee guest give review on their favourite book. School had completed milestone 165 book reviews till June 2018. The concept of book review is also applied to students. 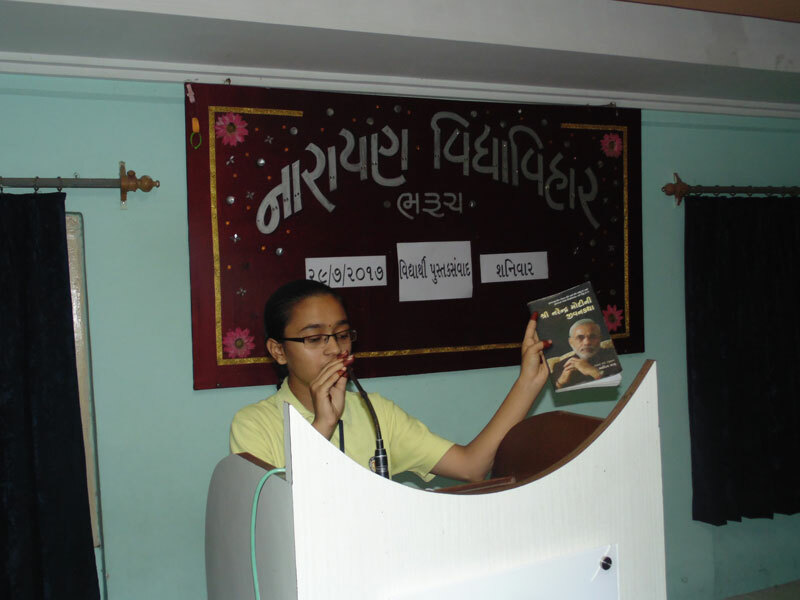 For this, every month the group of students give review on their favourite book. By this program students can know the summary of book, improve their speech and reduce their stage fear. Meeting a real writer can increase children’s interest in books, help them to understand how books are written and boost the confidence of any aspiring writers in our school. Under the program of “Avo Lekhak ne Maliye”, the school has invited famous writers to enhance students writing and reading skills.